Dr. Michael Dann is double board certified by the American Board of Internal Medicine in Gastroenterology and Hepatology. Dr. Dann is a renowned NYC gastroenterologist who specializes in conditions of the gastrointestinal tract including irritable bowel syndrome, hemorrhoid treatment, GERD/heartburn, inflammatory bowel disease and colon cancer prevention. Dr.Dann provides highly personalized and comprehensive care. His philosophy regarding the doctor/patient relationship is based on trust and has earned him one of the most respected reputations in NYC. Dr. Dann has had a distinguished career in the US Army and has served the Chief of Gastroenterology at two large academic centers during his career. Dr. Dann has also served as a medical director while deployed to Afghanistan and was the sole physician responsible for the care of over 2000 active duty and civilian personnel. Dr. Dann has received many awards throughout his medical career. His awards include the Defense Meritorious Service Medal, Meritorious Service Medal, NATO ISAF Medal, Afghanistan Campaign Medal, Army Commendation Medals, Army Achievement Medal and the Army Superior Unit Award. He has also received the Robert Wood Johnson School of Medicine Fellowship Research Award and was instrumental in obtaining the American Society for Gastrointestinal Endoscopy Unit Recognition designation. Dr.Dann completed his undergraduate education at Stony Brook University where he earned a bachelor’s degree in biochemistry. Dr. Dann went on to earn his medical doctorate from Upstate Medical University Syracuse. Dr. Dann completed his Internal Medicine training at Tripler Army medical Center and went on to complete his subspecialty training in Gastroenterology and Hepatology from Robert Wood Johnson Medical School. Dr. Dann has been in active in clinical research and has served as a coinvestigator of a protocol regarding endoscopic mucosal resection and ablation of Barrett’s Mucosa. He has also written a manuscript entitled “Detection of Intestinal Metaplasia at the Esophagogastric Junction in the Absence of Barrett’s Epithelium Using a Novel Monoclonal Antibody”. Dr. Tsynman joined Manhattan Gastroenterology in 2016. He is a clinical instructor of medicine at Weill Cornell Medicine and has attending privileges at New York Presbyterian Hospital and Lenox Hill Hospital. He is double board certified by the American Board of Internal Medicine in Internal Medicine and Gastroenterology and Hepatology. He has been voted by his peers as a Castle Connolly Top Doctor as well as a New York Super Doctor. His specific clinical interests include Irritable Bowel Syndrome, Inflammatory Bowel Disease, general gastrointestinal care, colon cancer screening and prevention as well as treating other malignancies of the gastrointestinal tract. Dr. Tsynman has published extensively on these topics in internationally renowned medical journals and has regularly been invited to present his work at medical conferences around the world. His past research has focused on health-related quality of life measures in patients with Inflammatory Bowel Disease as well as treatment options of Irritable Bowel Syndrome. He is the recipient of the prestigious Presidential Award of the American College of Gastroenterology as well as the Fellowship2Leadership Academic grant. Dr. Tsynman is most proud of having been honored with The Patient’s Choice Award, which recognized his expertise and commitment to outstanding patient care. Prioritizing patient care while providing education is inherent to his approach to medicine and permeates each patient-doctor relationship that is created. A native New Yorker, Dr. Tsynman attended Stuyvesant High School prior to completing his undergraduate degree at The University of Pennsylvania. Dr. Tsynman went on to receive his medical degree and then graduate first in his class from the Portland, Maine campus of St. Matthew’s University where he earned his medical doctorate. 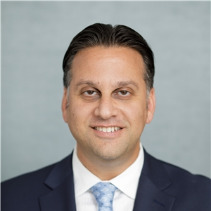 Dr. Tsynman returned to Philadelphia to complete his training in Internal Medicine at Hahnemann Drexel University Hospital before returning to New York to complete his advanced training and fellowship in Gastroenterology and Hepatology at the University of Rochester. Dr. Tsynman is an avid adventure traveler. He is fluent in English, Russian, and Spanish and in his spare time enjoys exploring his hometown of New York with his family and friends. Dr. Khodadadian is currently an attending physician at Lenox Hill Hospital in NYC and serves as the Director of Clinical Nutrition. He is also clinical instructor at NYU Langone Medical Center in NYC. Gastroenterologist Dr.Khodadadian has been voted by his peers as a Castle Connolly Top Doctor as well as New York Super Doctors and has been voted to the prestigious list of New York Magazine Best Doctors. 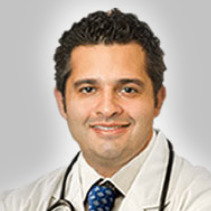 His NYC gastroenterology practice, Manhattan Gastroenterology (located in Manhattan’s Upper East Side and Midtown Manhattan) provides unique unparalleled expertise and state of the art technology in all aspects of gastroenterology. For instance, Dr. Khodadadian is one of the few gastroenterologists in NYC offering Infrared Coagulation (IRC) which promotes fast healing of hemorrhoids with relatively minimal discomfort. 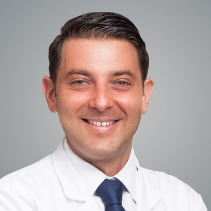 Dr. Khodadadian went on to complete his internship and residency in Internal Medicine followed by a three-year fellowship in Gastroenterology, Hepatology and Nutrition at Lenox Hill Hospital in NYC. During fellowship, Dr. Khodadadian received grants to pursue specialized training in Inflammatory Bowel disease at the University of Chicago as well as training in liver disease at the Sinai School of Medicine. After receiving specialized training at Memorial Sloan Kettering, the NYC gastroenterologist became one of a select few physicians board certified as a physician nutrition specialist by the American Board of Physician Nutritionists. Dr. Khodadadian feels strongly that nutrition plays a key role in general wellness and disease prevention, particularly in digestive diseases. As part of his comprehensive evaluation, Dr. Khodadadian incorporates nutritional interventions and lifestyle modification into his treatment plans. For more information or to schedule an appointment with the best in class NYC gastroenterologist (GI doctor), Dr. Shawn Khodadidan or Dr. Michael Dann, please contact our Midtown Manhattan or Upper East Side NYC office.